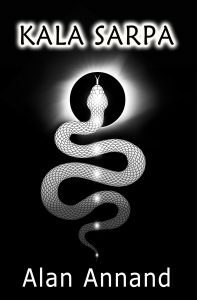 Kala Sarpa, “the serpent of time,” is an astrological pattern wherein all of the planets occupy half of the chart as defined by the axis of the moon’s nodes, Rahu and Ketu. Although one in eight people have Kala Sarpa in their charts, few know whether it constitutes a yoga, a sign of power and fortune, or a dosha, an inherent flaw that may irrevocably spoil a life. Because it isn’t discussed in any of the classic shastras of Jyotisha, the Kala Sarpa pattern is poorly understood by clients and astrologers alike. But now, for the first time in print, this book reveals many vital elements of interpretation that were previously only part of India’s rich oral tradition. Although interpreting a Kala Sarpa formation can be complicated, the principles of analysis are thoroughly illustrated through the delineation of 36 charts of famous people. 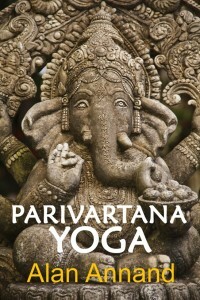 Parivartana Yogas are said to be among the most powerful of planetary combinations, having the capacity to link the effects of two astrological houses in a chart. However, aside from what we find explicitly in Mantreswara’s Phala Deepika, there’s little in the literature – neither in the many classics of Jyotisha, nor in modern books – to help us understand these yogas. In this volume, an invaluable reference work for any Vedic astrologer’s library, the author describes the effects for each of the 66 combinations of house lord exchange, also known as mutual receptions. A case study of a famous person accompanies each combination. 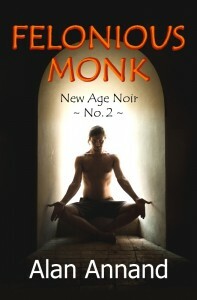 In addition to delineations for each of the 66 combinations, the author has also given several general rules for creative analysis, thus providing the practitioner of Jyotisha – whether novice or expert – multiple techniques for further exploration. Approximately 43% of us have a mutual reception by sign in our birth chart, ie, when two planets simultaneously occupy each other’s sign. It’s a powerful combination linking the effects of two houses in a chart, yet it’s one of the least understood patterns in western astrology. This book, an invaluable reference for any astrologer’s library, describes the effects for each combination of house lord exchange. 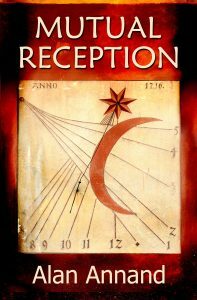 The first section of the book defines mutual reception in various forms, and the rules under which they apply. A number of techniques make it clear how to analyse the strength of each mutual reception, identify the control planet and the affected areas of life, and determine the outcome. There are 66 case studies, one for each combination of house lord exchange. The author provides a general interpretation for each pattern, using the example of a famous person with that same combo, and an analysis of the mutual reception in their chart, showing how to apply the various techniques. 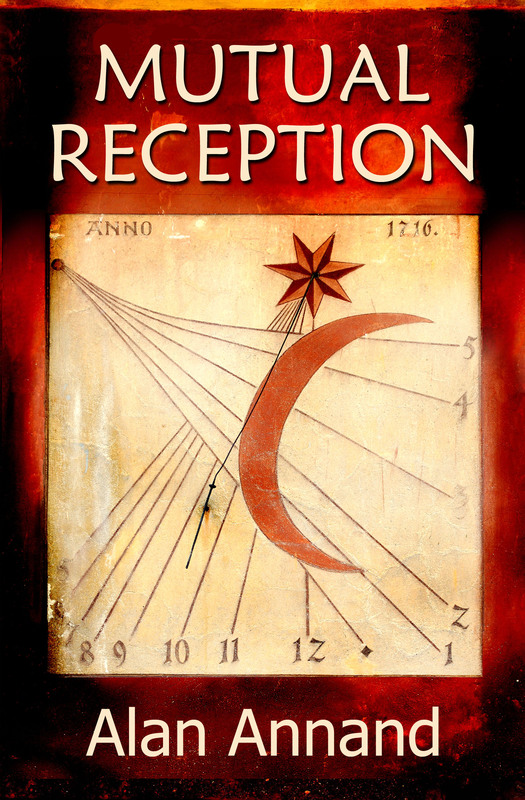 As a concept, mutual reception is almost 2,000 years old, yet there’s been very little written about it. This book is one that astrologers will refer to again and again, not only because 43% of clients have one of these combos, but because it’s also a lesson in how astrology reveals its dignities – as a science with a map, an art with a palette – on each of which the planets leave their tracks. 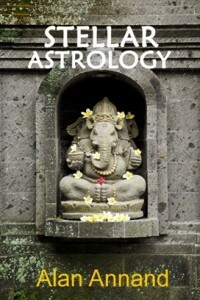 Stellar Astrology illustrates the many applications of Vedic astrology (jyotish) in this compilation of essays on techniques, in-depth celebrity profiles, and analysis of mundane events. This highly informative series of reference works, written by an astrologer experienced in both western and Vedic systems, provides both instruction and entertaining reading for all serious students of astrology. Volumes 1 & 2 are currently available. Volume 3 will be released later in 2019. 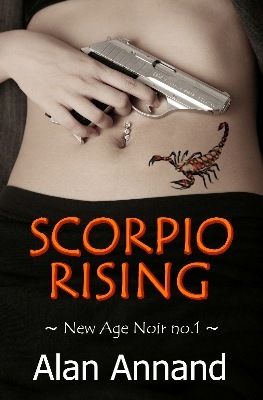 Astrologer Axel Crowe investigates the killing of a New York heiress, and discovers her death is linked to two other murders on the same day: a dot-com millionaire in San Francisco, and the team leader of a counter-terrorist project in Los Alamos, New Mexico. Trained as a criminal profiler, Crowe is summoned to New York by the brother of the murdered woman. Crowe is a man with an obscure past but a brilliant reputation who occasionally consults for the police. More commonly, he is a finder of wayward people and stolen possessions. Despite initial stonewalling from the NYPD, Crowe profiles the killer in his own unique way – using astrology, palmistry and other unconventional techniques. Facts are gross, but the truth is subtle, Crowe’s guru used to say. And although the truth behind this three-way conspiracy lies buried in the past, Crowe is relentless until he uncovers it. Believing him innocent, Crowe suspects instead a mysterious devotee who may be ex-CIA, and the beautiful Thai woman who accompanied him to the retreat. But when Crowe follows them to New York, the woman disappears and the man threatens Crowe. 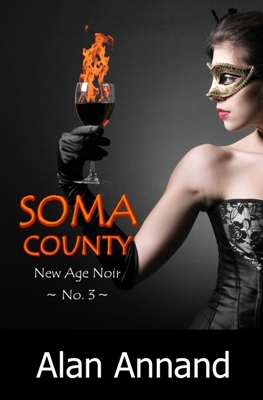 The nexus of intrigue is a developer bent on turning the Napa Valley into a bedroom community for San Francisco. Megawati is a little person who’s surrounded himself with bodyguards, female wrestlers and fighting dogs, all attack-trained and larger than life. In his book “The Soul’s Code”, psychologist Hillman says all notable achievers are driven by an inner “daimon”, or seed of character. This article correlates the demonic themes of Hitler’s life with his birth chart. Castaneda captured the imagination of the New Age generation with his book about Yaqui sorcerer Don Juan. But over the years, revelations from inside Castaneda’s circle raised many questions. Via astrology, we ask — did Don Juan ever exist?